Assumptions: You have a Vectorworks Cloud Services account. 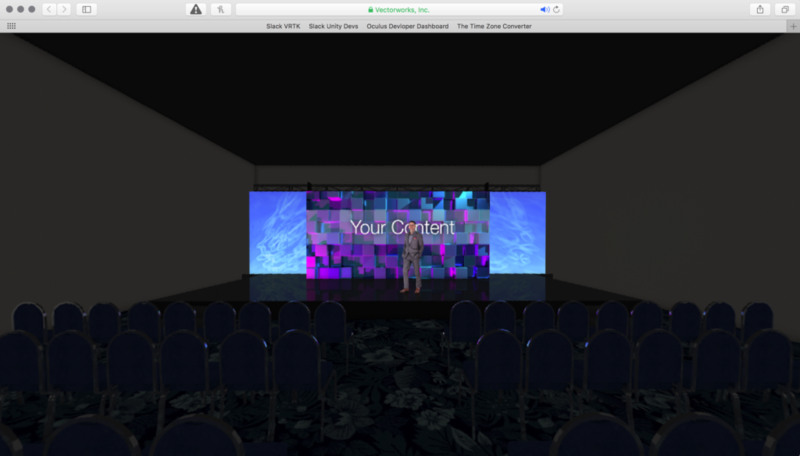 Create a fully enclosed space in 3D, meaning four walls, ceiling & floor. Add textures and lighting to your scene. Use as realistic lighting as possible by implementing indirect lighting with glow textures on screens, etc. 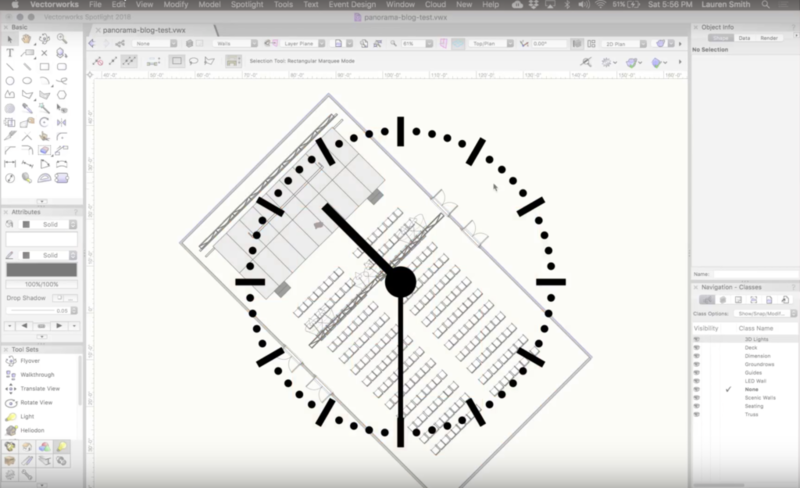 See our post ‘8 Settings for Improving Vectorworks Renderings’ for more tips on obtaining realistic lighting in Vectorworks. 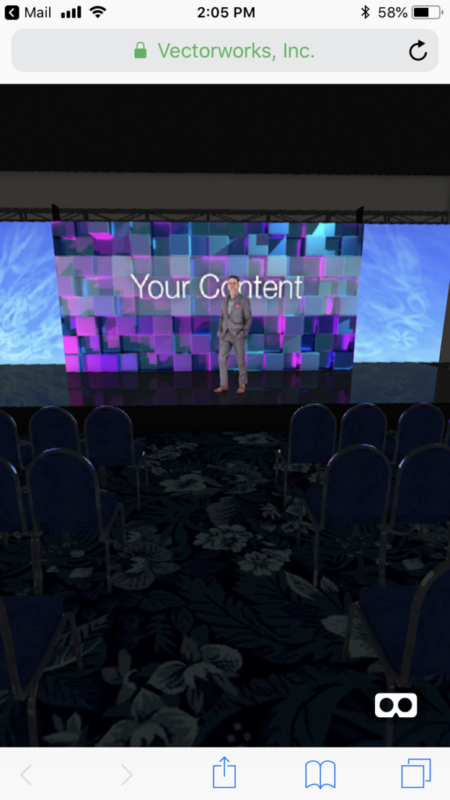 Basically, set up your model as if you were going to be rendering a 2D image as usual, except don’t worry about adding a camera or creating a viewport in a sheet layer. The camera perspective of the 360 panorama will be taken from the drawing origin. Move all your objects on all layers so that the center of the room is on the drawing origin. It is easiest to turn on Show/Snap/Modify others in Layer Options and then Select All to move. Or Main Nav> Tools> Origin> Center Drawing on Internal Origin, but you will likely still need to manually adjust for a perfect center placement. Yet another option is to skip moving your model onto the internal origin at all and instead manually designate a new origin using Tools> Origin> User Origin. Rotate the room so that the set aligned as if it were 10:30 on a clock, or -45 degrees. This will be the ‘front’ of your 360 image or the direction that the camera is facing on first look. Then select all Main Nav> Modify> Move> Move 3D -5’6” on the Z axis. This will make the camera feel like it is 5’-6” off the ground. You can adjust as desired, as maybe your client is much taller than 5′-6″. Sign into your Vectorworks Cloud Services account, Main Nav> Cloud> Log in/Sign Up. 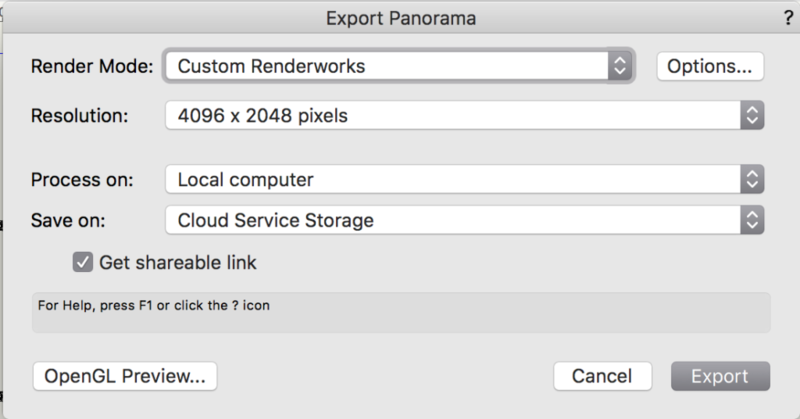 While in a design layer, go to Main Nav> File> Export> Export to Panorama. Change to Save on ‘Cloud Service Storage’ & make sure ‘Get Sharable Link’ is enabled. Change the Render Mode to Custom Renderworks. Then click into the ‘Options…’ button. Select your favorite render settings and click okay. 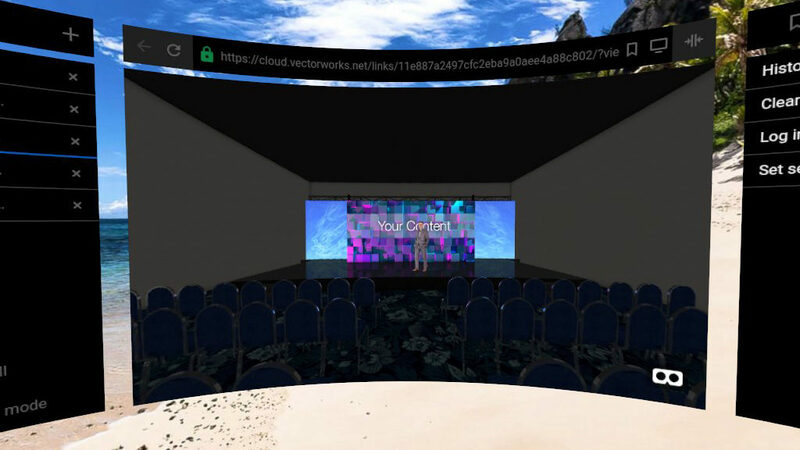 There are a few options for viewing your Vectorworks panorama: 360 desktop browser, mobile device with Google Cardboard/daydream, or VR browser/headset. Or you can simply upload the jpg to Facebook for 360 viewing. A. Desktop Browser: Clients can use their mouse to navigate in 360. B. 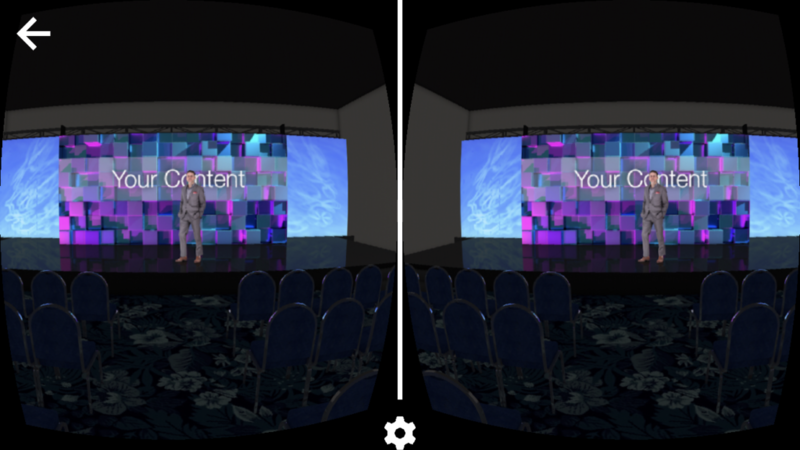 Mobile Device Browser: Clients can view the link with their mobile device & click the VR icon in the bottom right to enable viewing with Google Cardboard or Daydream in split screen (monoscopic as it is the same image per eye). 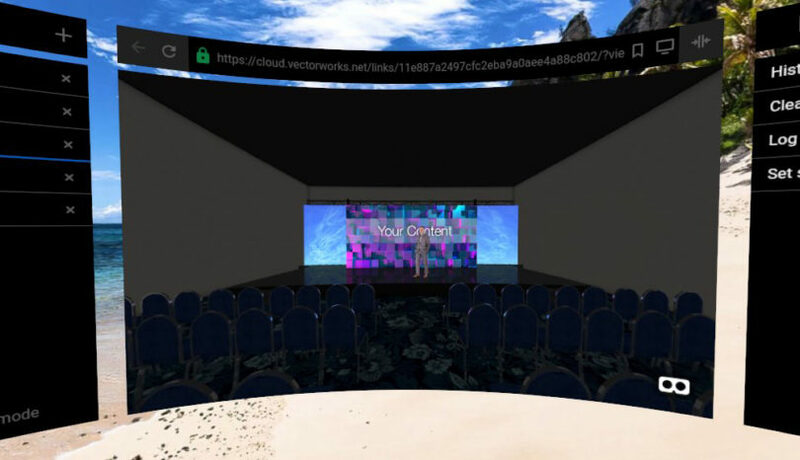 C. VR Headset Browser: If the client has a VR headset, ask them to navigate to the link with their VR browser. They can look left and right within the browser window. Unfortunately the VR icon does not work in full screen. 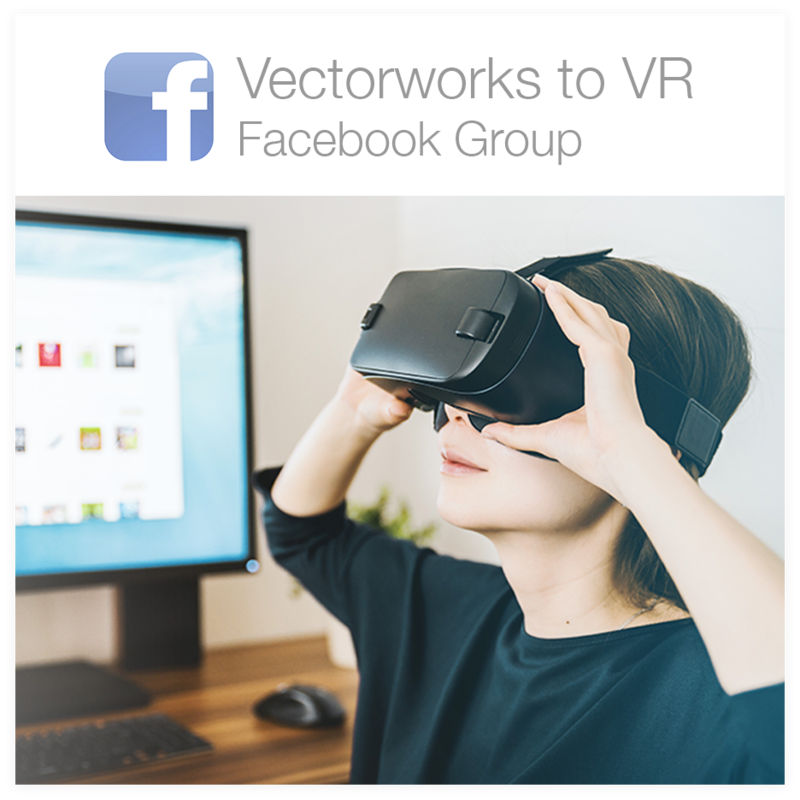 To enable the client to view your panorama in full screen VR within their headset, rename/save out your panorama with _360 at the end, like this: “[filename]_360.jpg” for viewing in the Samsung Gallery on Gear VR or on Oculus Photos on Oculus Go. 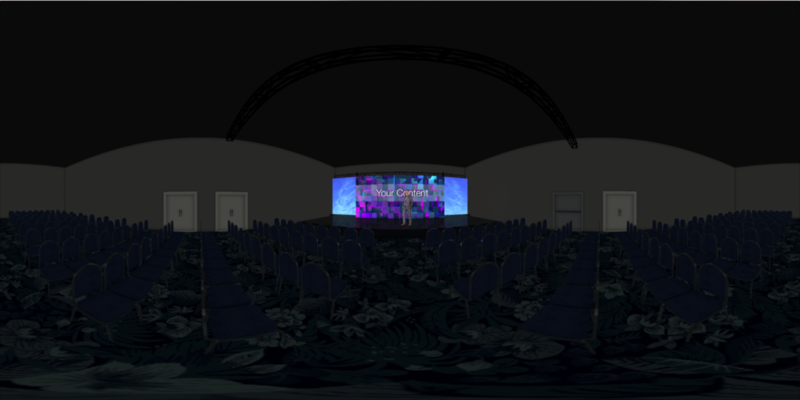 If you want to challenge yourself even more, you can export out two panoramas from Vectorworks for the left and right eye to create a stereoscopic top and bottom 360 image. Be sure to make the left and right eye about 6cm apart to simulate the average spacing between eyes. So place the center of the room on the origin, move everything to the right by 3cm & export panorama for the right eye. Then move everything -3cm to the left of the origin & export panorama for the left eye. Email me if you have questions! I hope this information will make it easy (and fun) for you to start working in 360 and VR. One of the goals of ScenicMentor.com is to help designers learn and work faster, giving them more time to create and more easily share their ideas with the world!